A large part of the book's subject matter describes the way of life of the tramp in the United Kingdom, Canada and the United States in the final decade of the 19th century. George Bernard Shaw had become interested in Davies, a literary unknown at the time, and had agreed to write a preface for the book, largely through the concerted efforts of his wife Charlotte. 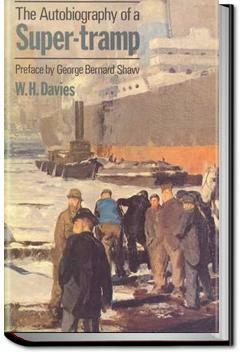 Shaw was also instrumental in keeping the unusual title of the book, of which Davies himself was unsure, and which later proved to be controversial with some reviewers. An early entry in the line of ne'er-d'ye-well starving artist autobiographies that continues with books like You Can't Win (Jack Black) and Junky (William S. Burroughs).